The late, great Gary Moore (sadly he passed away in 2011 much too young at 58) is probably Northern Ireland's most legendary guitar slinger son. Make that definitely. Born a Belfast boy in 1952 he became something of a musical prodigy, playing a mean axe from the age of 14 on. His career flourished locally since he was a childhood friend of Phil Lynott and Brian Downey and his apprenticeship served he delighted audiences with his flamboyant style and immaculate taste in Skid Row and Thin Lizzy. As his reputation spread Moore found himself sharing space with other notables, including the blues masters B.B. King and Albert King (heroes of his), Colosseum 11, Greg Lake and his latter-day friend George Harrison. 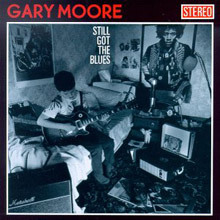 Moore's legacy lies primarily within a sterling collection of albums, now available for your perusal and delight but just as he was influenced by Peter Green he has informed the work of many other players in his own wake - admirers on record include Ozzy Osbourne, Kirk Hammett, Glenn Hughes, Bryan Adams, Tony Iommi, Brian May and Bob Geldof. Very much a musician's musician Gary was an enormously popular live drawer, as will be seen by a slew of on stage albums in our catalogue and he had enormous success in Europe as well as at home and in America. Growing up in a musical household (his father was a local Belfast promoter) meant Moore developed an informed love for The Beatles, The Shadows and Elvis Presley but it was meeting Peter Green in Belfast that kick-started his ambitions for stardom. In fact Green mentored the youngster (Gary would repay that debt later with his own album Blues for Greeny) and even lent the kid one of his Fleetwood Mac Les Paul guitars, which he would eventually purchase. An ongoing partnership with Phil Lynott ran parallel with his stint as leader of the Gary Moore Band, an outfit that picked up in 1973 where his earlier young band Skid Row left off. After recording his debut Grinding Stone with producer Martin Birch effecting a heavy metallic sound Moore really flourished when he made Back on the Streets (1978) with Lynot and Thin Lizzy drummer Brian Downey helping out extensively. A hard bluesy fusion disc it contained the epic 'Don't Believe a Word', 'Parisienne Walkways' (a top ten single hit in 1979) whose popularity meant it stayed in his set as an encore throughout his career, and superb instrumental workouts like 'Flight of the Snow Moose' and 'Hurricane'. The expanded edition is recommended since it includes various takes on the unreleased 'Spanish Guitar'. 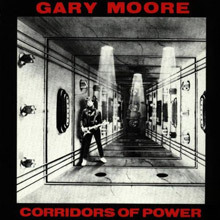 Corridors of Power upped Gary's game considerably thanks to ever improving vocal confidence and the presence of drummer Ian Paice who locked into an airtight rhythm section with Neil Murray and Tommy Eyre – a formidable combo. Moore's writing was assured, his guitar prowess a given but an ear for a tasty cover also allows him to feature Free's 'Wishing Well'. That band formed the basis for a 1983 world tour which gave us Rockin' Every Night – Live in Japan. A crackling summary of Moore's life to date this was hardly a rest on your laurels affair. Also cropping up is 'Sunset' (dedicated to then recently deceased Randy Rhoads) the incendiary riff assault of 'Nuclear Attack' and an overall metal power hose production. That approach paid dividends again on Victims of the Future with Gary's song writing axis shifting to allow for more social commentary in 'Murder in the Skies' and the Cold War title track. These were juxtaposed with a version of the Yardbirds' 'Shapes of Things', another portent song cleverly slanted here and assisted by one Noddy Holder's inimitable throat. 1984's We Want Moore! (that title had to happen) was as you might expect another consummate live disc, recorded in Japan again, Detroit, London, and obvious Celtic outposts of Glasgow and Belfast. The classic studio disc Run for Cover pushed Gary forward and is considered to be a breakthrough 'must have' item. For starters he proved that hard rock could feature on the singles chart: 'Empty Rooms' and the Irish commentary of 'Out in the Fields' showed the guitarist had something to say as well as to play. The latter track, a top 5 hit, is also one of Lynott's last ventures before his own untimely death. Check out the list of contributors too because aside from production by Andy Johns the cast includes Roxy Music's drummer Paul Thompson and Trapeze/Deep Purple's Glenn Hughes on bass and vocals. 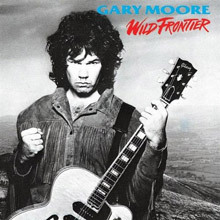 Gary followed that smash album with Wild Frontier, relocating to Ireland for inspiration and dedicated to Lynott. Moore was back on the charts with 'Over the Hills and Far Away' and was in top form throughout as he snuck a take on the Easybeats' 'Friday on my Mind' next to homeland epics like 'Johnny Boy' and 'Strangers in the Darkness'. After the War maintained Gary's link to his Irish roots, paying tribute to Lynott on the poignant, melodic 'Blood of Emeralds' while drawing in a bluesier approach that would serve him well in releases to come. 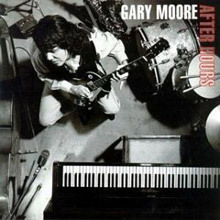 Still Got the Blues, After Hours and Blues Alive are a trilogy of exemplary discs that take Gary back to his first love. Homage is paid to influences ranging from Jimmy Rogers, Duster Bennett, Ivory Joe Hunter and John Mayall, amongst many. Female backing vocals are introduced and the blues-rock template is paid full and honourable due. These splendid discs are available here separately and as a triple set. Given his prolific output it also made sense to collate Moore on Ballads & Blues 1982-1994 which summarises the period in question and adds the otherwise unavailable 'With Love (Remember)', 'One Day' and the ace fusion piece 'Blues for Narada'. 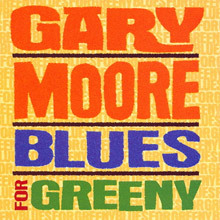 It was also inevitable that Moore would then get around to tackling his early mentor Peter Green on the scintillating Blues for Greeny, a more stripped back but powerful affair that proffers immaculate interpretations of old Fleetwood Mac/John Mayall cuts like 'The Supernatural', 'Long Grey Mare' and Little Willie John's 'Need Your Love So Bad', a journey back to sixties psych rock. Things move full circle now with Dark Days in Paradise, a flat out hard rock return completely penned by Gary and echoing a traumatic time in his personal life. Equally comfortable bossing a variety of guises Moore's The Best of the Blues (2002), serves a dual purpose as it combines one CD of 1990s material with a second set of live germs featuring Albert Collins, Albert King and B.B. King The fact these veteran stars felt comfortable in Gary's presence gave him more pleasure than anything. He continued to release quality artefacts right up until his death in Spain, an event that precipitated an outpouring of emotion and reflection on an extraordinary life. Gary's work is also chronicled on a five album remastered set as well as The Platinum Collection, The Blues Collection and the posthumous anthologies All The Best and Triple Best Of. It goes without saying that here you'll find music of tremendous power and grace performed by a guitarist, writer and singer whose reputation grows brighter with each passing year. Gary Moore is an Irish legend and an artist of international stature. Listen up and get back on the streets with a true virtuoso. 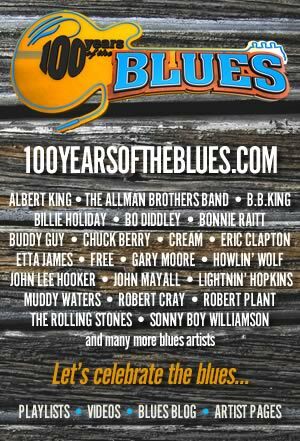 Relieved from the pressures of having to record a hit single, Gary Moore cuts loose on some blues standards as well as some newer material. Moore plays better than ever, spitting out an endless stream of fiery licks that are both technically impressive and soulful. It's no wonder Still Got the Blues was his biggest hit. Not wanting to leave a good thing behind, Moore reprises Still Got the Blues on its follow-up, After Hours. While his playing is just as impressive, the album feels a little calculated. Nevertheless, Moore's gutsy, impassioned playing makes the similarity easy to ignore. Gary Moore's tribute to Fleetwood Mac guitarist Peter Green, Blues for Greeny, is more of a showcase for Moore's skills than Green's songwriting. After all, Green was more famous for his technique than his writing. Consequently, Moore uses Green's songs as a starting point, taking them into new territory with his own style. And Moore positively burns throughout Blues for Greeny, tearing off licks with ferocious intensity. If anything, the album proves that Moore is at his best when interpreting other people's material -- it easily ranks as one of his finest albums. Run For Cover took the heavy metal ingredients of Gary Moore's previous two albums and added a little pop refinement to the mix. Thankfully, this did not compromise the overall heaviness of the record, and Moore even achieves a successful remake of his classic ballad "Empty Rooms." Calling on his many friends to help in the studio, Moore obtains fantastic vocal performances from former Deep Purple bassist/vocalist Glenn Hughes on "Reach for the Sky" and "All Messed Up"; and former Thin Lizzy leader and childhood friend Philip Lynott on the dramatic "Military Man." The latter also trades vocals with Moore on the album's biggest single "Out in the Fields." Written about the religious turmoil in their native Ireland, it was actually Lynott's final recorded performance before his tragic death. It also presaged the musical and lyrical Irish themes which would dominate Moore's future work. 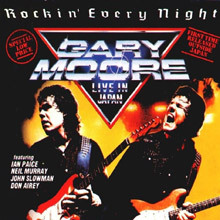 This is the first of Irish guitar virtuoso Gary Moore's true heavy metal albums. Boasting a crisp, aggressive sound, Corridors of Power kicks off with the foot-stomping "Don't Take Me for a Loser," delivers the token power ballad in "Always Gonna Love You," and floors the gas pedal on "Rockin' Every Night." However, the album's climax has to be the epic "End of the World," with it's two-minute long guitar solo intro and vocals courtesy of Cream's Jack Bruce. This is the eighth studio album from Gary which was released in 1987; an album which was dedicated to Phil Lynott and has many Celtic influences. The album features the hit single 'Over The Hills And Far Away' - which reached the top 20 in the UK charts, as well as a cover of 'Friday On My Mind', a hit for the Australian band The Easy Beats. Other stand out tracks are 'Take A Little Time' and 'Wild Frontier'. This album is a must for every Gary Moore fan – incredible guitar playing and a great album from start to finish. 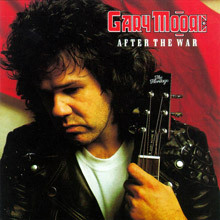 Gary Moore's 1989 release, After the War features a return to the metal guitar riffing of his 80's records ("Speak for Yourself" and "Running From The Storm"), while continuing to explore more conventional pop dynamics with mixed results - it works great on "Ready to Love." Also, after dedicating his last album to fallen childhood friend and musical partner in crime, Philip Lynott, Moore finally honored him in song with the moving "Blood of Emeralds." 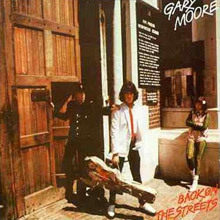 As it turned out, this would be Gary Moore's last hard rock album before becoming a "born-again" bluesman. 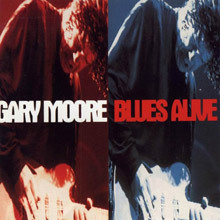 Released in 1993 when Gary Moore was arguably at his blues soaked best, Blues Alive is a triumphant 13 track album which includes many of his most memorable live recordings. Probably his best version of ‘Parisienne Walkways’ with Phil Lynott, the blues classic ‘Further On Up The Road’ and the energetic ‘Oh Pretty Woman’ are given the full treatment with Moore’s guitar playing and vocals at their searing best. 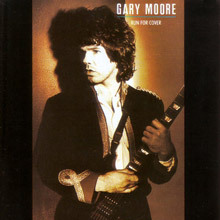 1979 was a busy year for Irish guitarist Gary Moore, who after years of seemingly aimless wandering across the musical landscape (including a flirtation with jazz-rock fusion while fronting G-Force) simultaneously re-launched his long-dormant solo career and became a full-time member of Thin Lizzy. Moore had originally agreed to help his old partner in crime Phil Lynott only temporarily, while longtime Lizzy guitarist Brian Robertson recovered from a broken hand incurred in a barroom brawl. But due to Robbo's increasing unreliability, Moore was persuaded to stay on and record Lizzy's Black Rose album in exchange for Lynott's help in shaping his own solo effort, Back on the Streets. And a good trade it was, too, as with the exception of the title track's gutsy hard rock, Lynott's singing and songwriting contributions wound up providing the album with its most coherent and satisfying moments. These included the highly amusing "Fanatical Fascists," a mellow reworking of Lizzy's "Don't Believe a Word," a whimsical acoustic ballad called "Spanish Guitar," and the simply exquisite Moore tour de force "Parisienne Walkways." This great live album was recorded in Tokyo, Japan in 1983 during the Corridors Of Power tour. Despite being recorded in 1983 it was not released in Europe until 1986 with three additional live tracks recorded at the legendary Marquee Club. The album features a tremendous version of Free’s ‘Wishing Well’ and a moving instrumental ‘Sunset’ dedicated to the late Randy Rhoads, band member of Ozzy Osborne’s who had died several months earlier.